Name Activities, Name Intervention, & MORE! Bundle! Back to School Bundle of Activities! Three Products in One! 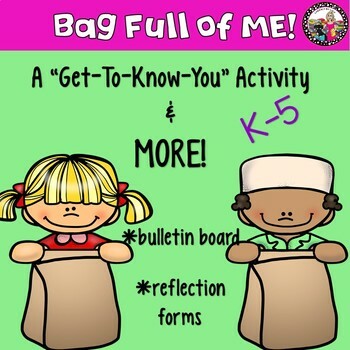 This is both a “Get-to-Know-You” activity as well as a year-round bulletin board that requires little effort. The kids’ work is the bulletin board! For example, for a favorite snack, they might bring in a wrapper from that snack. What I typically like to do after everyone has shared, is take some of the items from their bag to add to our portfolio wall. SEE PREVIEWS. 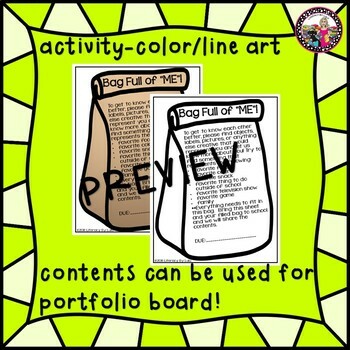 A portfolio wall is a bulletin board divided into equal parts depending on the number of students in your class. This wall houses student work that your students select and decide which to hang up for a week or two. I have the kids decorate their “space” on the wall with pictures of their family, items from their bag and anything else that they can think of to personalize their space! This board remains a constant and the only thing that changes is the work and their reflections! I let parents know ahead of time that work will come home in bulk, usually once a week or once every two weeks. I use a hanging folder for each child labeled with their name and this is where their work is stored once it has been graded or been given feedback by me. The work can be from any subject area or anything you have graded. Usually, on Fridays, I hand each student their “portfolio” folder and they select and reflect on one piece of work to showcase. Select & Reflect forms are included here. We have many discussions around how to select work and that we don’t just put up our best but work that might show progress. This always allows EVERY child to participate and you will never have to worry about being equitable in what you are displaying! It’s genius! This also is a great way to communicate to kids that you value their work and provide them an opportunity to self-select and reflect. The work that is not chosen to be displayed is sent home. When it is time to add a new piece to the portfolio wall, the current work is taken down and stored in another hanging folder. This then becomes a year-long collection of all different samples of their work. At the end of the year, I send home all the work they have reflected on during our time together. They love looking through all their work and laugh at what they were like at the beginning of the year and how much they have grown. 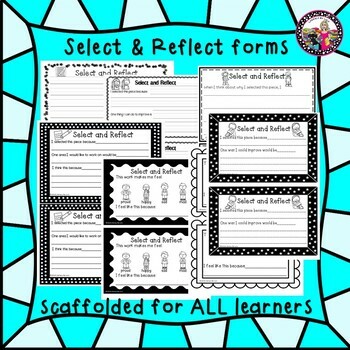 7 “Select & Reflect” forms-These forms allow kids to write why they chose a particular piece and what they may want to improve on next time. Four forms have sentence starters, 2 have picture icons, and 1 is free-form writing without supports. Perfect for all learners. Select and Reflect forms are also sold separately at my store. CLICK HERE! 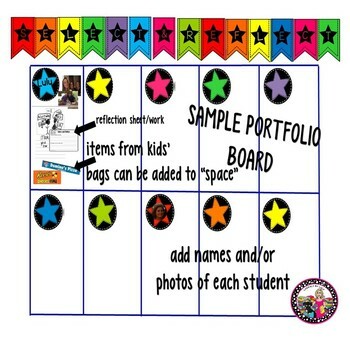 Star template that you can add a photo and type the child’s name or just write the name or just add a photo-stars come in 9 colors. They are also included in the PDF file if you want to just print and write the name. Lastly, an editable parent letter explaining the portfolio wall and how work will be coming home. Beginning of the year Candy Bar Wrappers! Candy Bar Wrappers-Non Grade Specific! ***Remember when you purchase products on TpT and then RATE them, you are getting TpT credits that turn into dollars!! !